LCMS Youth Gathering in New Orleans! WHAT? Every 3 years: Almost 30,000 youth gather together to WORSHIP, SERVE, AND LEARN ABOUT JESUS! Youth Event - Street Hockey! Yes, STREET HOCKEY. Mark your calendar for September 17th. We’ll be playing street hockey BEFORE the Midweek Service of Prayer and Preaching. We will take over the parking lot for some fun and games as we play STREET HOCKEY. (7-12th Graders, this is for you, but college students and young-at-heart older adults are welcome to play too!) The fun starts at 6:00. No skates, just shoes. Once again the Youth are busy this month! Here are a few updates… This month the Youth are going on a mission trip. Youth and parents are encouraged to join Zion at Camp Pioneer. Camp Pioneer is one of our own Lutheran Camps. We will serve by repairing cabins, painting, and helping out where needed. Our Youth will also have free time with the ability to swim, play games, climb an obstacle course, etc…Please consider joining J@CK; July At Camp for the Kingdom. For more information check your bulletin or the Church website. This month the Youth get a new Youth Leader. We say good bye to Vicar David and say hello to Vicar Chris. Chris will be joining our Youth at Camp Pioneer. He looks forward to getting to know everyone. As school cools off Youth Heats up! There are many activities happening in June. Please come and bring a friend and enjoy fun and fellowship with our Youth and Vicar! Genesis Seminar- On June 13th-15th Zion is hosting a Creation Seminar. Our Youth are bombarded with evolution at school and Zion is offering a seminar that will aid our students in better understanding the differences between creation and evolution and what God's Word truly says. This will be a GREAT conference that will have sessions specifically geared towards junior high and senior high youth! PLEASE strongly consider coming to this event, it will be very beneficial! 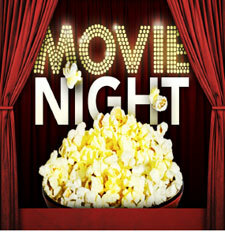 Summer Movie Nights- This summer Zion is hosting family movie nights outside by the pavilion. We will watch a family friendly movie and have popcorn/snacks available. Continue to look at the newsletter and bulletin for updates. Summer BBQ- On Sunday, June 29th, the Youth are having a BBQ at Zion and playing games in the field. This will be Vicar's last youth event and he is hoping lots of the youth can come and say good-bye! Growing in our Faith-Martin Luther once asked his congregation, Do you know more of your Bible this year then you did last year? Do you know more this year then you did two years ago? During these summer months make an effort to grow in your faith! Now that school is out take the opportunity to read your Bible EVERYDAY! When the year is over make sure you know more then you did last year! Make this a summer of growing in your relationship with Christ! Zion's Youth Group is going to PNC Park! We'll be attending the Pirates game on Sunday, June 8th. Youth Event - this Sunday! This Sunday, March 9th marks our next youth event, 2 hours of bowling at the AMF Lanes in Mt. Lebanon. We will be meeting at the Church at 3:30 p.m. departing for Mt. Lebanon Lanes (Rt. 19, Mt. Lebanon) where we will bowl for two fun-filled hours. Youth group participants can be picked up at 6:30 p.m. when we return to our Church. The cost of this event will be $14 for bowling + money for snacks or drinks. Zion Youth are invited as well as their friends. Please come out and join us for a great time bowling! Please join us on November 10th, from 6 - 9 p.m. for our monthly gathering! If you are in confirmation through high school you are invited to participate in Youth Group. 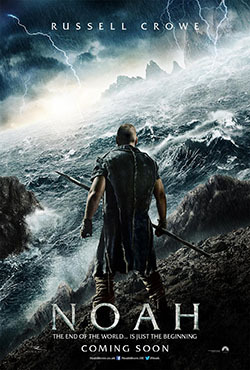 This month the Youth and the Vicar are planning on watching a movie here at Zion! There will be pizza and ice cream! Please bring friends and enjoy one another’s company. The best movie idea will be watched…with Vicar’s approval! Hope to see you there! Mark your calendar for October 6th from 6 - 9 p.m.. We’ll be meeting at church and going… oops… almost had me there. It’s going to be a surprise; you won’t want to miss it! Bring $10 and clothes you can get dirty. If you think you’re “youth,” you’re more than welcome to come… and so are your friends! If you want to serve the Lord through outdoor maintenance and renovation work at a Christian camp, help a group of mentally handicapped youth enjoy their time at camp, run around Chicago and experience Cedar Point with a group of people like you, you’ll want to go on our SUMmer MIssion Trip! What’s the most you’ve done in a week? If it included renovating a Christian camp, helping handicapped youth enjoy a week at camp learning about Jesus, growing in your faith, making friends, doing Chicago and spending a day at the “Roller Coaster Capital of the World,” then we have nothing new to offer you with the SUMMIT. But if you’d like to serve the Lord by helping out at an outdoor-based Christian camp and serve the “least of these brothers of mine” by helping a group of mentally disabled youth enjoy their time at camp in grow in their faith, then this is the trip for you! Open to Junior High School through High School. Adult chaperones and drivers needed too! Our first mission trip in decades. For a week we’ll be helping to renovate Lutheran Island Camp in northern Minnesota and working with the residents of the town nearby, sharing Christ and making a difference. Cost? Less than $300, transportation included! Looking for a way to serve the Lord, grow in your faith, be taken out of your comfort zone and develop lifelong friendships with people from church and a town in Minnesota you’ve never heard of? Then we have the trip for you! We’ll be driving (yes, driving) to Minnesota, to Lutheran Island Camp, stopping in Chicago for an overnight and worship the next morning. We’ll arrive at Lutheran Island Camp the afternoon of the 26th and begin out work on the 27th! Following a week of work (including renovating different areas of the camp along with other like-minded-and-purposed groups), outreach (to people in the community and serving at a nursing home), worship (including outdoor devotions at the “point” at night), and plenty of time to relax on the beach, take out a kayak, do the challenge course, or play some basketball, soccer, ultimate frisbee, or any number of things a large, outdoor-based camp has to offer! And the cost? Very, very reasonable! Junior High through Adult, there’s a place for YOU at the LIMiT! It’s been a while since Zion Lutheran Church has done a trip like this. So we want our first Mission Trip/Service Project to be one you won’t ever forget! Combining service, worship, fellowship, outdoor activities, and the Great American Road Trip, LIMiT will not only give you a chance to serve in a new and exciting way, but let you do it while having fun and in such a way that you will SEE the difference you have made. Lutheran Island Camp is quite a ways away from the South Hills of the greater Pittsburgh area. Therefore, we do not recommend anyone under High School age (9th grade) attend this trip without an adult present. Junior High youth (7-8th grade) may attend the trip after speaking with the Pastor. Those under 7th grade may attend if accompanied by an adult. And yes, you can bring your friends! We also need all kinds of adults! Adults who want to work. Adults who want to hold up the hands of those who work. Adults with kids (there’ll be plenty for the wee-ones to do at camp too). There’s a place for everyone at the LIMiT! Lutheran Island Camp is... an island with a driveway to the mainland. There are many outdoor activities to do after the work is done. There will also be many opportunities to refresh spiritually, grow in the faith and worship the Lord! You’ll want to pack clothes that can get wet and dirty. One nice outfit for worship on Sunday would be a good idea. A Bible, flashlight, several pairs of sneakers, bedding and toiletries will help you get through the week in high style. We’ll be spending a night on the way out to Lutheran Island Camp at Trinity Lutheran Church in Roselle (a suburb of Chicago, 8 hours away). Trinity has close to 1500 people in worship each week. We’ll be there to worship with them before we finish our trek to Lutheran Island Camp (another 9 hours). We’ll drive non-stop back from the Island Camp. So you’ll want to pack things to do for a couple of long road trips. What to expect. A life-changing experience built around spiritual growth, doing meaningful work for God’s kingdom, and enjoying a part of the country you may have never been to before. That long drive is going to save us lots of money on travel costs! The total cost for the trip (excluding meals on the trip to the camp) is $300. Adult chaperones who drive will have their expenses paid. If money is an issue, please speak to Pastor Duncan. We don’t want money being a prohibitive factor! Hope you (and your friends and family) can make it! The more that come, the more fun we have! How Much: 4-12 years of age $12 ea. 13 year of age and up $14 ea. Everyone under 18 needs to have a wavier sign by parent or guardian. >Click here for a downloadable Wavier PDF - or see Tom or pick one up in the narthix. Meet up happens at the Church 3:00 p.m. Snow tubing from 4:00 p.m. until 6:00 p.m. Youth Skiing Trip to Seven Springs! February 26th, all youth (7-12th grade) and their friends are invited to head on over to Zion Lutheran Church at 1:00pm for a quick drive over to Seven Springs for an evening (4-10:00pm) of skiing, snowboarding, and whatever else Seven Springs has to offer. The cost for the lift ticket and rentals is $50. We will return to the church by midnight. Any adults willing to drive will have their lift ticket provided by the church. Please contact the church office or Pastor Duncan if you are planning on attending. Thanks, also, to Neil Ackerman who helped with the planning of this event! We hope to see you there, with your friends!!! Mark your calendars for June 25 – July 1!! The Youth (and any willing adult chaperones) will be going to Lutheran Island Camp in Henning, Minnesota for a week of work, play, fellow- ship and ministry! Sure to last a lifetime, the memories we make will help us grow and apply our faith. There are several surprises along the way you’re sure to like. Zion Lutheran has fellowship, fun, and service events for 7th-12th graders. During the school year, we have Confirmation Instruction on Monday Nights. 6:00 for 7th grade. 7:00 for 8th grade. At the end of Confirmation Instruction, we will have a retreat for our Confirmands-to-be. 90% of people who become Christian become a Christian before they are out of High School. The Church’s ministry to its youth is its most important ministry. Zion Lutheran Church is excited about its developing youth ministry that provides meaningful opportunities for high school age young adults to grow in their faith and apply their faith through fellowship and service. From Sunday School to mission trips to fellowship-focused fun activities, Zion Lutheran Church is investing in its future leaders!